The secret trial and execution of Colonel Abu Taher was an infamous event in the history of Bangladesh. Here we print the text of an address given on July 21st at Dhaka University on the 30th anniversary of the execution, by renowned journalist, Lawrence Lifschultz who covered the original trial in 1976. In his keynote speech, Lifschultz reflects on the manifest injustice of the legal proceedings that denied Taher his fundamental and constitutional rights, and calls upon the current administration, in the name of justice, to overturn the verdict of the military tribunal that sentenced Taher to death. Yesterday, The Daily Star published Part I (“The Taher I Knew”) drawn from Lifschultz’s Dhaka University speech. We conclude today with Part II entitled “The Trial of Abu Taher”. JUST OVER THIRTY YEARS AGO I STOOD outside Dhaka Central Jail. I had arrived early for the day that would become a “day to remember”. It was June 28, 1976. A week earlier, “Special Military Tribunal No. 1” had begun its work in secret. It convened for a single day and then immediately recessed for a week to permit defense lawyers seven days to prepare for a case which the prosecution had been working on for six months. The trial of Colonel Abu Taher and more than twenty others had begun. The accused, despite repeated requests throughout the period of the detention, had been denied access to legal counsel and communication with relatives. Following the opening session, this correspondent filed dispatches to the Far Eastern Economic Review in Hong Kong, the BBC and The Guardian in London. At the time I was South Asia Correspondent of the Review. Transmission of these reports did not go through. However, copies flown to Bangkok by a passenger on an international flight meant that in the end the news of the trial was transmitted from Thailand. As a result, the first reports residents of Dhaka had of the case came from the BBC Bengali Service. On June 28th when the trial reopened, this correspondent who had reported from Bangladesh for a full year in 1974, stood outside the gates of Dhaka Central Jail taking photographs of the Chief Prosecutor, ATM Afzal, Colonel Yusuf Haider and others as they entered the prison gates. I was told by police officers present that the trial was top secret and that I was not allowed to photograph anyone or anything. I said I had been reporting on Bangladesh for several years. I was a relatively well-informed person and I was unaware of any such official guidelines or orders. If they wished me to stop photographing, or reporting the case, I suggested they should show me a written order from the Information Ministry to that effect. Otherwise, I would continue my work as a journalist without interruption. I then raised my camera and photographed the police officer who was questioning me. He threw up his hands to cover his face and ran away. There were many ironies playing out that morning when the heavy iron gates at Dhaka Central Jail swung open and snapped closed again, admitting 30 black-coated barristers into the opening session. The trial and the charge of armed rebellion against established authority occurred at a time when there had been four governments in the past year, each succeeding the other by force of arms. Moreover, those officers who were part of Khaled Musharraf’s November 3rd coup d’etat and who were slandered by the official press as “Indian agents” had all been released from detention. Most notable among these was Brigadier Shafat Jamil who had placed Ziaur Rahman under house arrest. So it was that those officers who were behind the November 3rd anti-Zia coup were freed and those men who staged the general uprising of November 7th that freed Zia, now went on trial for their lives. As I waited that June 21st watching the entrance, the trial opened in earnest behind the tall yellow stained walls of Dhaka Central Jail. Never before in the history of either Bangladesh or “East Pakistan” had a trial been held within the confines of a jail. Lawyers defending the accused had to take an oath of secrecy regarding the proceedings. Inside the country a total news blackout on the case was imposed. Security at the prison was exceptional: sand-bagged machine gun nests surrounded every entrance. There was no doubt the authorities were convening the tribunal inside the jail to avoid the possibility that trouble might erupt en route to the courthouse if there was an open trial. I was left alone for more than two hours as I waited outside the prison gates for the day’s recess. I had wanted to interview the Tribunal Chairman so as to have an official statement of why the case was being held in such secrecy. But, at 11 am, I was arrested and detained at the jail. I was asked to surrender the film of the photographs I had taken of those men who had entered the gates. I informed the police official and the Army Lieutenant who had taken me into custody that I would not voluntarily give up the film. Calls were made to the National Security Intelligence agency, the NSI, and Martial Law Headquarters. Within the hour, ten officials arrived to sort out the case. It was a rather large number of security personnel for only a single journalist. I was asked by an NSI man, calling himself Shamim Ahmed, why I was interested in the Taher case. I explained that secret trials tended to rub me the wrong way whether they were done by Stalin, Franco or Zia. I said that I was a reporter and that if the six majors who killed Mujib had been put on trial by Khaled Musharraf inside Dhaka Central Jail, I would have reported it. And, if Khaled had lived and Zia had put him on trial, I would have been at the jail, as I was now trying to report. And, if Zia was now putting Taher on trial, inside a prison with frightened lawyers sworn to secrecy, I would report it. What was wrong with people know what was happening, I asked Ahmed. He picked up my camera and handed it to a young telecommunications officer, who some years earlier had trained in New York under the American Office of Public Safety Program. This young fellow ripped the film out of my camera. I was detained at the jail for a few hours wile a decision was taken on what to do next. An Army Major said Headquarters thought the detention of a foreign correspondent might be embarrassing. I was released. That evening I cabled another dispatch concerning the trial. The cable office accepted the story but did not transmit. The next evening, as I returned to my residence I was met by five Special Branch officers who informed me, I was again under arrest. They were under orders to take me directly to the airport and put me on the first available flight out of the country. They next flight out was to India, from where I had been expelled six months earlier for reporting Indira Gandhi’s Emergency. Censorship was tough during those days in Delhi and no foreign correspondent paid any attention to it. Thus, I had not been the only journalist to be so honored with deportation form India—merely the last. I explained patiently to the Special Branch Officers that they could not deport me to India since I had already been deported from there. In the end, I was kept for three days under house arrest until the next flight to Bangkok. On July 1st I was deported to Thailand and the last foreign, and for that matter domestic news report on the Taher trial ended. The authorities now had their secrecy buttoned up. The case went on for seventeen more days. Taher initially refused to attend the tribunal calling it “an instrument of the government to commit crimes in the name of justice.” He also said that if he were to be judged the panel must be made up of Mukti Bahini officers from the Army, who had fought for the independence of the country and not by men like Yusuf Haider who had taken no part in the Liberation War. But, when the tribunal was formed no Mukti Bahini officers would sit on it. Taher’s lawyers were finally able to persuade him to participate in the trial. They believed at first the Tribunal would be able to function without intimidation. It was advice many of them regretted later when it became known that Taher’s sentence had been determined well before the tribunal opened. On July 17, the Chairman of the Tribunal, announced the sentence. On behalf of the Army’s High Command, Haider sentenced Taher to death. Throughout the entire month of the trial not a single item regarding the case or my deportation for attempting to report on the trial had appeared in the Bangladesh press even though every editor and many journalists knew precisely what was going on inside the walls of the Central Jail. In May, a month before the trial began, in a mild violation of an undeclared, but well understood news blackout, Ittefaq, published a one-inch back page news item entitled “Conspiracy Case To Begin?” Ittefaq’s editor, Anwar Hossain was immediately called to Army Headquarters and told if he tried it again, he would be arrested. With the press muzzled and the trial over on July 18th, the government ordered newspapers to publish an official statement on the case and nothing more. Front page banner headlines in The Bangladesh Observer and other papers announced Taher’s death sentence. It was the first news through the Bengali media that the country had of the case and it came at the end of the trial as a fait accompli. Of course, no mention of Taher’s moving speech to the court or any of its proceedings, were allowed to appear in print. Although Taher insisted he wanted no appeals to be made in his name and that he wanted nothing from the regime, his lawyers nonetheless approached President A. M. Sayem calling upon him to essential negate the sentence. These lawyers, Ataur Rahman Khan and Zulmat Ali, understood the law and they understood how Taher’s trial had violated the most fundamental tenets of a citizen’s constitutional rights. Yet, at that moment Taher’s lawyers did not realize that part of the hidden agenda of this trail was a “fast track” to an execution. Sayem soon revealed himself as an integral element of this agenda. Taher was not allowed access to a lawyer until the day the case against him opened. Thus, in Sayem’s own words such a trial was “one not according to law”. Nevertheless, Sayem, who as a judge had written that no man under law could be sentenced to death were he not given the right of an adequate defense, now in the position of President, reaffirmed the death sentence on Taher. And, he made his decision with twenty-four hours of the sentencing. Here for all to see was the phenomenon of a judge acting as a criminal. It was more than simply an example of human hypocrisy. What else can one say of Sayem who in authorizing Taher’s execution directly violated the law that he had himself promulgated in the Mondal case. The Chief Prosecutor, ATM Afzal, after the trial was to be rewarded with an appointment to the position of Judge of the Dhaka High Court, and would later become Chief Justice of the Supreme Court, but a worried man in 1976, he anxiously claimed to his colleagues that he was more stunned than anyone at the sentence of death. As a prosecutor, he claimed, he had never asked for a death sentence. He said the judgment was impossible. There was no law in existence under which Taher could be executed for the crime with which he had been charged. But, did Afzal publicly protest the verdict or express regret for the crucial role he played in this tragic charade? Did he ever consider walking out of the “jailed court” and declaring he would not be a party to a secret trial held within the confines of the Central Jail? 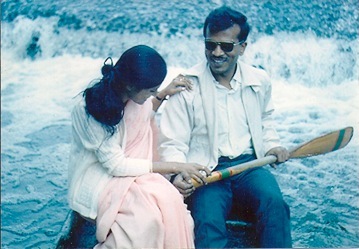 If we are looking for evidence of a “Profile in Courage” or sense of principle in the character of Bangladesh’s future Chief Justice, who in the summer of 1976 stood on the doorstep of a long and promising career, we will find no such evidence. Thirty years have now passed. We are all aware of what happened. The 30th anniversary of Taher’s execution is upon us. It is time in my view for a public act by the state and judicial authorities to publicly declare that Abu Taher was wrongfully tried and wrongfully executed. The verdict of July 17th, 1976 should be vacated, and a public acknowledgment should be made that Taher’s civil and legal rights were grossly violated by the regime that put him on trial. Today, I am reminded of two men—Bartholomew Sacco and Giuseppi Vanzetti—two Italian immigrants who came to my country, the United States, for a better life and instead ended up framed for a crime they did not commit. Their politics were not to the liking of the American authorities who in the 1920’s were seized by a hysteria against socialists, anarchists and communists. Sacco and Vanzetti were sentenced to death after a trial that systematically violated all legal norms. Unlike Taher’s case the trial was not in secret. There were worldwide protests in Europe, Asia, Latin America and the United States to stop the death sentence. Despite this both men were executed. In 1979, after decades of revelations concerning illegal acts on the part of the prosecution and the judiciary, Michael Dukakis, the Governor of Massachusetts where both men were executed, declared fifty years after their execution that in the view of the State, Sacco and Vanzetti were innocent and had been wrongly executed. Governor Dukakis declared that each year on the anniversary of their executions, the State of Massachusetts would observe “Sacco and Vanzetti Memorial Day”. The time has come in Bangladesh to act in a similar fashion. Appropriate mechanisms to accomplish this task need to be found. Justice requires that the verdict be formally overturned and that there be an official acknowledgement that the entire so-called trial of Abu Taher was a violation of proper legal procedures and represented a violation of the fundamental rights of the accused to due process. It is very difficult to truly correct a crime that has happened in the past. Whatever is done will always be insufficient. A life can never be brought back. There is no way “to set right” the experience of three small children growing up without the daily presence of their father or a young woman losing her husband in the prime of life. In matters of the heart like this there can be no repair adequate to the event. What can be done is a very minimal thing: an acknowledgment by the authorities that a tragic and wrongful act was committed. This is the very minimum that justice requires. Of course, there exist thousands of tragic case that get little attention through the world. In Bangladesh also there have been many cases of deaths and summary executions in the jails that occurred during 1975, 1977 and 1981 that should be carefully addressed. Our focus today on the Taher case should not minimize the work that needs to be done in other instances where human rights violations have occurred. Perhaps, success here will assist in a full assessment and public accounting of the many deaths in custody that have occurred since the 1970s. Hopefully, one day a national commission like the ones that were formed in Argentina and South Africa will be organized in Bangladesh to look systematically into the many cases of deaths in prison where summary trials led to summary executions. The Argentine Commission produced a remarkable report entitled “Nunca Mas” or “Never Again”. The shock of the report helped to revive the rule of law within a society that had been ravaged by thousands of disappearances and deaths in custody. Bangaldesh needs such an account of its past. To mention only a few cases, among many, which ought to be addressed is the death of Tajuddin Ahmed and his colleagues in 1975, the secret executions of thousands of soldiers in prisons around the country in 1977-78, the death of General Manzur in custody in 1981, and the secret trial and execution of the group of thirteen military officers in 1981. The call for justice in the Taher case is not specific to any party or any specific government. Whatever government is in power it should be pressed to overturn the verdict in the Taher case. Today, I call upon Khaleda Zia to search her conscience because even those who have travelled the dark road to power might still be able to find that flickering light we know as “conscience”. I believe that Mahatma Gandhi and Henry David Thoreau, the American writer, who inspired Gandhi, were especially right about one particular point. They believed that it is important confront individuals with moral choices. People may lack the moral strength to make difficult choices. Nevertheless, they ought to be presented with a choice, whether or not they ultimately chose to act in an ethical fashion. What is remarkable about this situation is that Khaleda Zia once regarded Abu Taher as a family friend. He was a visitor to her home and on the morning of November 7, 1975, as Zia feared for his life, it was Taher he called. Zia knew exactly whom Taher would bring to the rescue. Kaleda witnessed Taher and his associates free General Zia. It was then that Zia in front of many soldiers thanked Taher for saving his life. July 21 was the 30th anniversary of Taher’s execution. I doubt the Prime Minister could ever bring herself to publicly defend the manner in which Taher’s trial was conducted. It was an abomination of all norms of human decency. It is within the Prime Minister’s power as an individual to acknowledge that the trial and the way it was conducted was simply wrong, even illegal. If she decided to do so, she could say that justice required that the verdict be overturned and that past mistakes must be acknowledged. More need not be said. I am not optimistic and I am under no illusions this will happen. Yet, as a writer it is my prerogative to raise the issue and pose the choice. Thoreau believed that people were never too old to give up their prejudices or to rediscover the conscience they may have lost. Yet, it is very rare for them to do so. However, it is their choice. My own view is that some future government will act in a moral and ethical way on this issue. We must not rest until the verdict in the Taher case has been overturned. It is, my friends, a matter of justice. Lawrence Lifschultz was South Asia Correspondent of the Far Eastern Economic Review and also reported for The Guardian and the BBC. He is author of Bangladesh: The Unfinished Revolution.